Day 1. Arrive in Tbilisi. 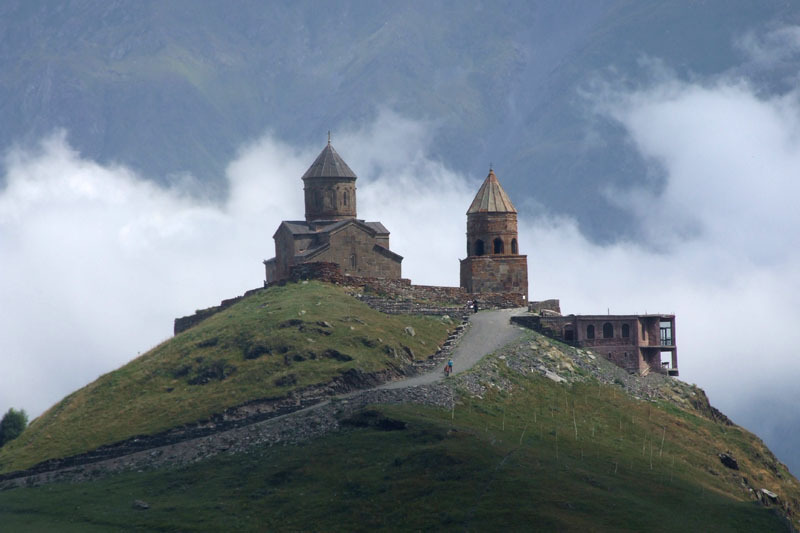 Meet at the airport and drive to the Kazbegi town at 1700m (about 3,5-4 hrs driving). Night at the guesthouse in the town. Day 2. 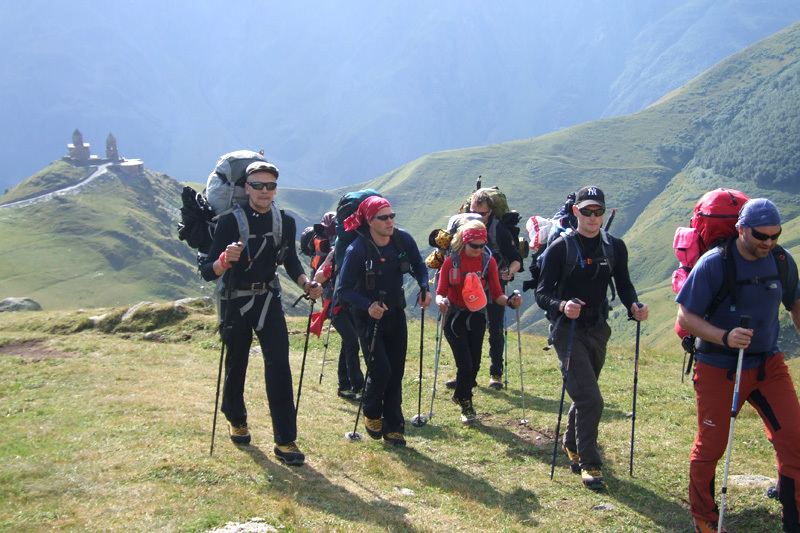 Acclimatisation walk up to the Sabertse Pass 3150m. 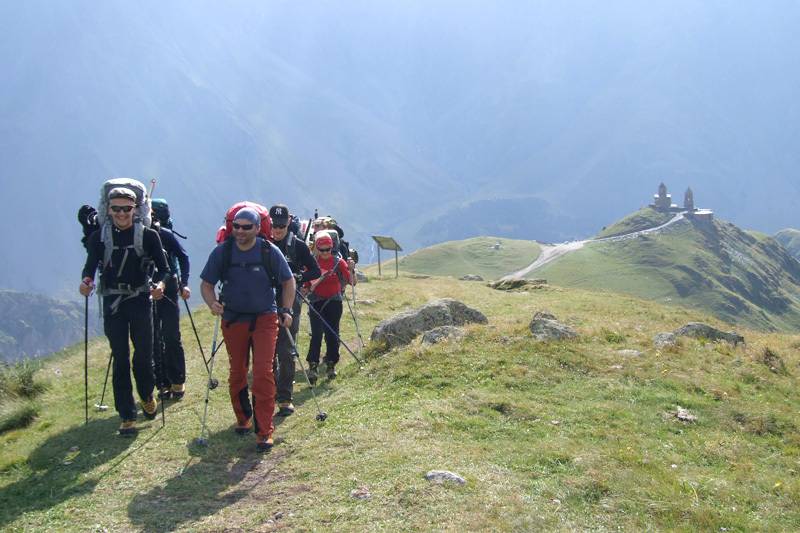 We gain altitude walking on nice path up the alpine pastures, enjoy wonderful views of the Trinity Church located at 2150m. Return to the guesthouse to overnight. Day 3. In the very early morning we start our long walking day to the Betlemi hut. Crossing the Sabertse Pass we continue walk following the moraine ridge and Gergeti Glacier to mountain hut Betlemi (former meteorological station) at 3700m. About 7-8 hrs walking from Kazbegi town. Day 4. Acclimatization day. 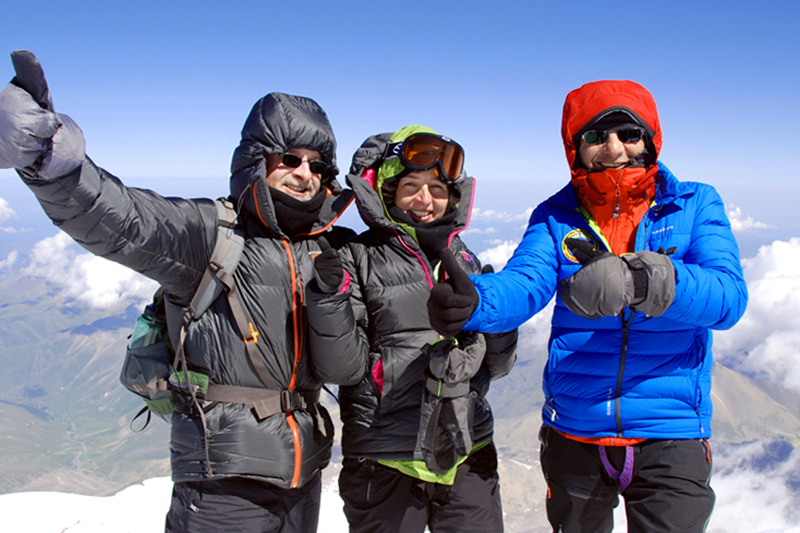 We go for acclimatisation to the beginning of the Maili Plateau at about 4300m. 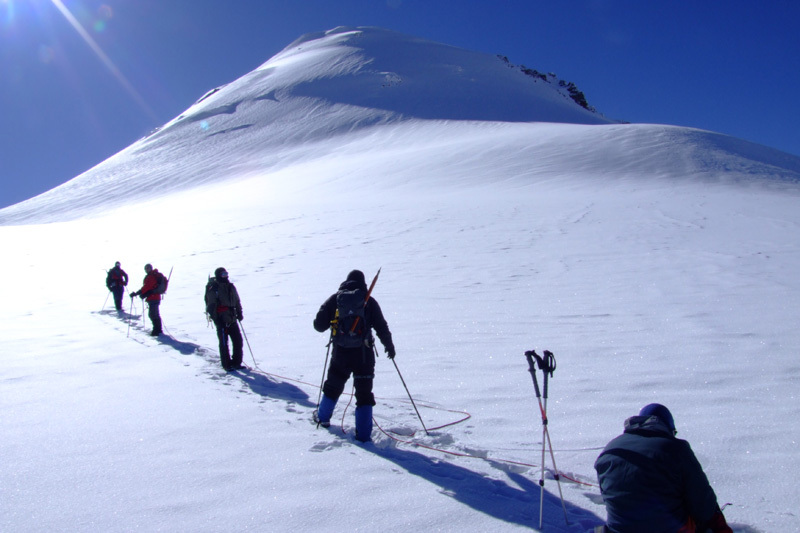 If weather conditions are perfect and the group is strong and experienced we try to attempt Mount Ortsveri 4365m on this day. Return and overnight at the hut. Day 5. The Summit Day. 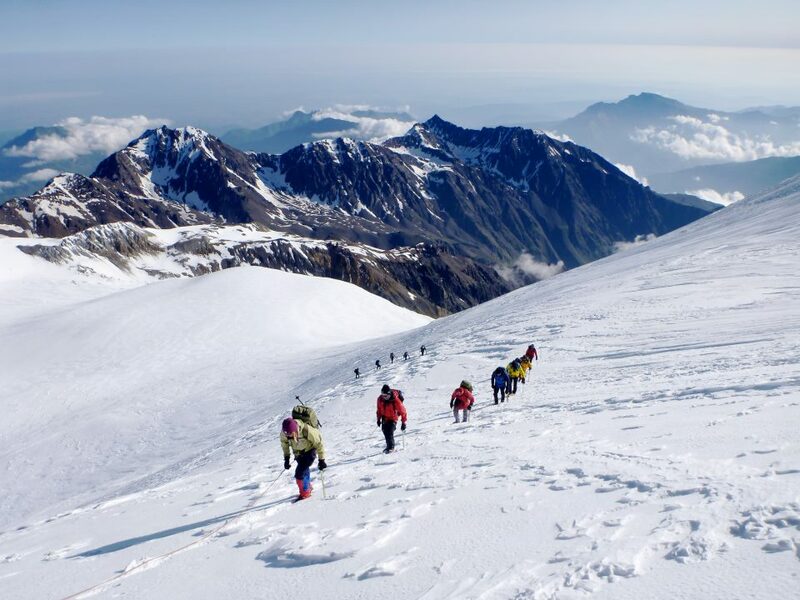 Passing the snowy Maili Plateau we climb up to the small saddle at 4900m. From the saddle snow-icy 35 to 40 degrees 200m slope leads to the top (from the Betlemi hut, about 7-8hrs walking up). Return to the hut and overnight (about 3-4hrs walking down). Day 6. 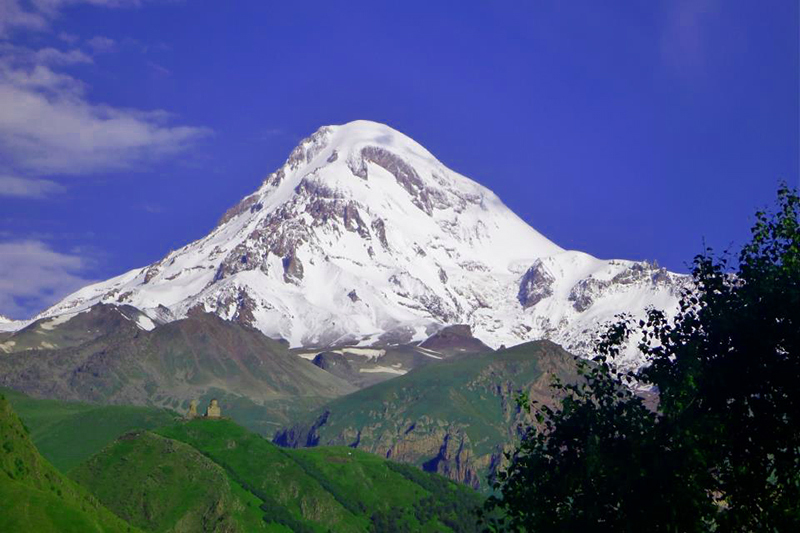 Spare day to attempt Kazbek in case if the weather on the day 5 was bad. Day 7. After breakfast we walk down to Kazbegi, 4hrs. Drive to the hotel in Tbilisi and relax. In the evening farewell dinner at a Georgian restaurant tasting national food and well know Georgian wines. Day 8. Transfer to the airport. Departure from Tbilisi.